Carbon dioxide gas is produced from the combustion of coal or hydrocarbons, by fermentation of liquids and the breathing of humans and animals, and by volcanoes. Carbon dioxide is at a low concentration in the atmosphere and acts as a greenhouse gas. Carbon dioxide is used by plants to produce carbohydrates where the photosynthesis process releases oxygen to the atmosphere. Freezing point is -78.5 oC where it forms carbon dioxide snow or "dry ice". Engineering ToolBox, (2006). Carbon Dioxide Properties. 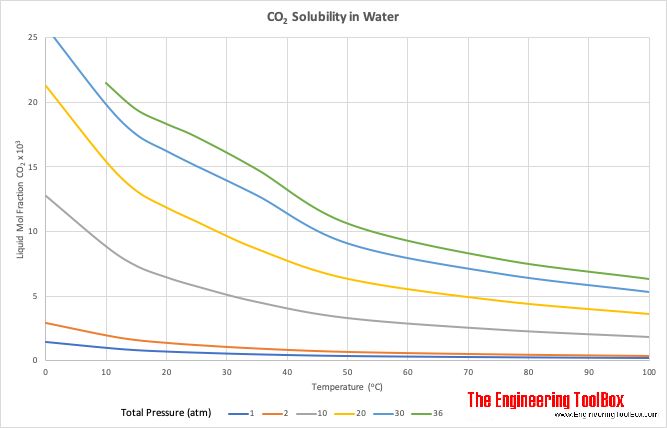 [online] Available at: https://www.engineeringtoolbox.com/carbon-dioxide-d_1000.html [Accessed Day Mo. Year].